A sampler of Joyride Media radio specials suitable for both Classic Hits and Eclectic noncom formats, featuring legendary artists heard on a wide range of stations every day - Paul Simon, The Byrds, Bob Dylan, Rolling Stones, Roy Orbison and more. Playlist includes examples of one-hour shows that work for all formats, as well as multi-part series that can be aired in full or as any individual segment(s) that work best for any particular station. A great example of how to split music playlists of a classic band in two parts to give stations more scheduling flexibility based on the music they play. Many stations aired their choice of the two parts to focus on either the early hits or the later cosmic country/rock, while others ran both to tell the full story. The first of two one-hour documentaries on The Byrds, the continuously groundbreaking band who bridged the gaps between The Beatles, Bob Dylan, Pete Seeger, the Beach Boys, the Los Angeles psychedelic underground and classic country. Their memorable music set the stage for everyone from the Eagles to Tom Petty to R.E.M. Each hour is hosted by singer-songwriter Laura Cantrell, and covers a distinct period of their prolific history that can either be aired as one two-part series, or as your choice of two insightful one-hour programs. THERE IS A SEASON covers 1964-1967, the all-too-brief hitmaking years of the Byrds' original five members - Roger McGuinn, David Crosby, Chris Hillman, Gene Clark and Michael Clarke. They were an electrified folk band who topped the charts with some of the decades' most innovative singles and albums. By 1967, their musical harmony was engulfed by the off-stage disharmony that pushed them to reach those heights. Instead of being directed by the singular vision of one leader, The Byrds were consistently led by everybody's contributions - from their original five members to the musicians involved with their later years. Despite the inner turmoil that resulted in a revolving cast of characters, the Byrds always used those changes as opportunities to further their musical evolution. "They all brought something new and something defining," says journalist David Fricke, "and it all became part of the Byrds sound. They didn't change the Byrds to the degree that it changed the sound. What they did became the Byrds." Dylan's career also splits conveniently in multiple chronological parts so different radio formats can run the full thing or pick & choose what parts work best for them. In LA station terms, "BLOWIN" is KPFK for the early folk period, "ROLLING" is KRTH, "SHELTER" is KLOS, and "MERCY" is KCRW/KCSN. But any of the stations could probably run the whole thing. In: "He became an artist in front of everybody's very eyes..."
Out: "I'm Patti Smith, and you're listening to Bob Dylan: Blowin' In The Wind." In: "Welcome back to Bob Dylan: Blowin' In The Wind. I'm Patti Smith." Includes both career retrospectives and classic album profiles. The story behind the final S&G album “Bridge over Troubled Water” and its classic songs. 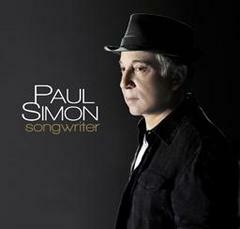 Includes interview with Paul Simon, Art Garfunkel, producer Roy Halee, and more.